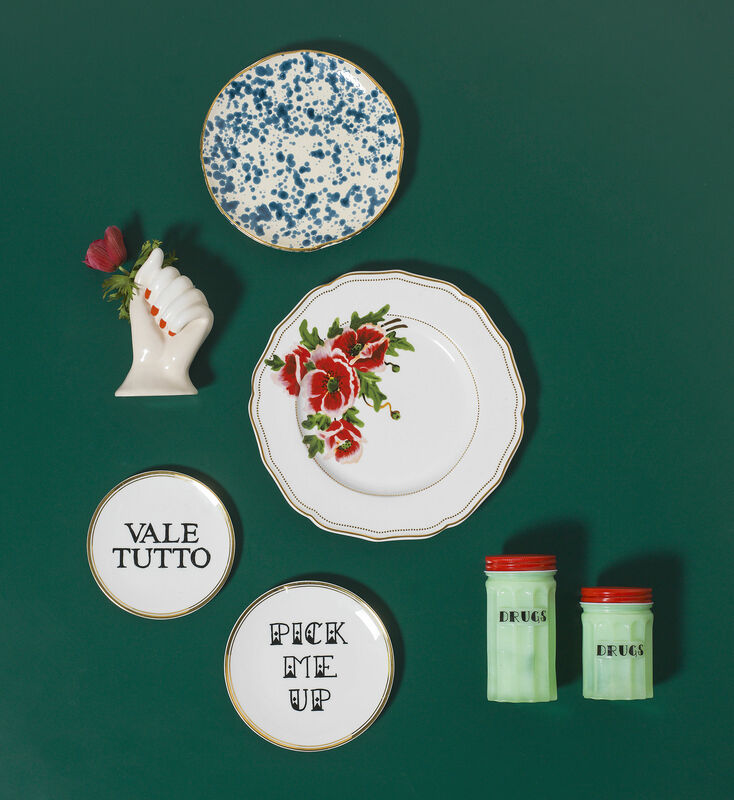 World-famous ceramics house Bitossi, joins forces with the young ‘Funky Table’ brand from Milan, to create an eccentric, arty, out-there collection. 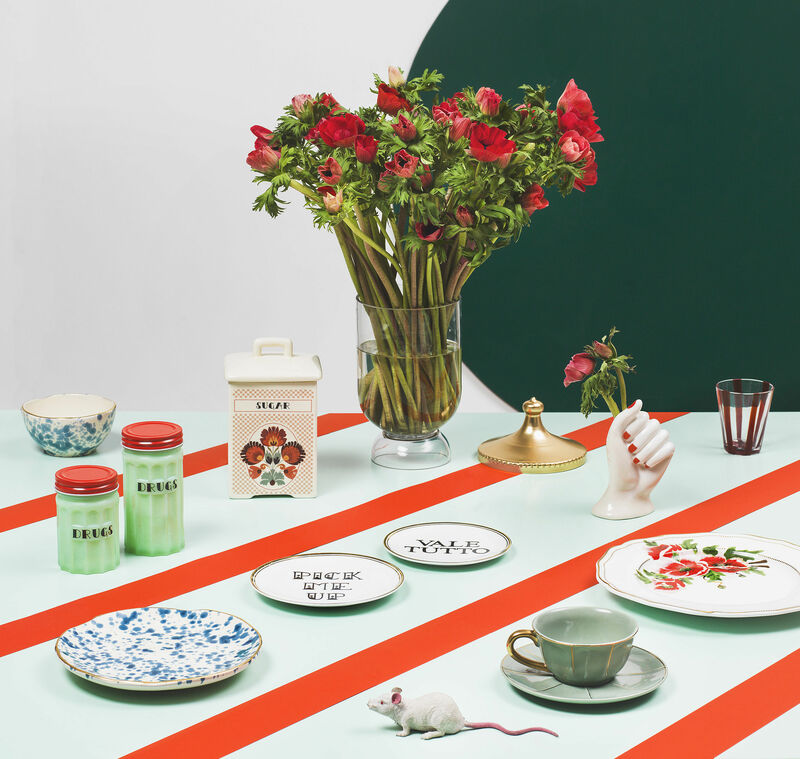 The mismatched pieces come together to make up a colourful table that is a joy to behold; mixing styles, eras and influences. 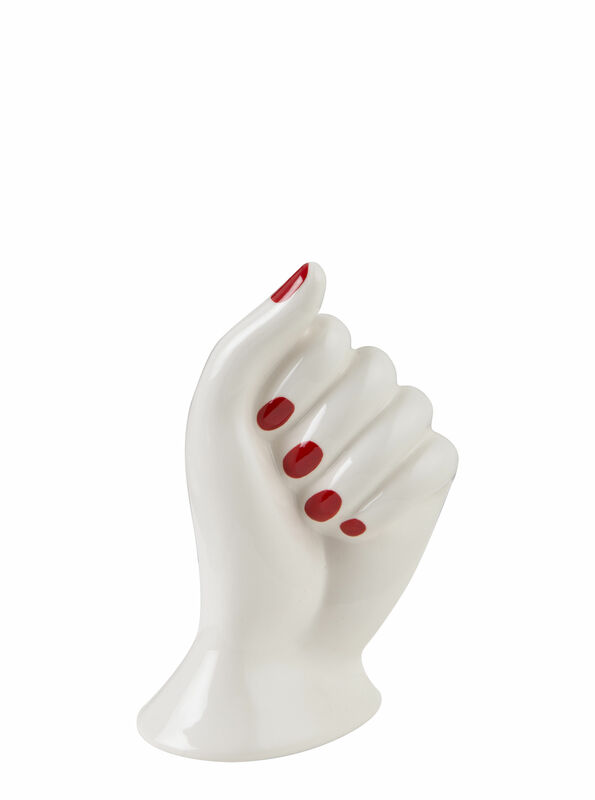 Poetic, surreal, like a piece from a cabinet of curiosities, this hand-shaped vase was designed by Gentucca Bini. We recognise the humour and subversive style of the Milan fashion house. This vase will bring an uninhibited boost of cheerfulness to your decor. Building on centuries-old know-how, Bitossi continues the ceramic tradition by introducing innovative artistic sensibility. These creations, handcrafted in Tuscany, merge a number of artistic influences for a house where every object is viewed as a vector of emotion.